"You don’t really say French fusion, Italian fusion. They’re all absorbed into somewhat elevated American food ... it’s always Asian that’s the only thing that’s considered to be fusion." Rachel Yang is wary of defining Northwest cuisine. Labels, in her experience, aren’t always helpful. She and her husband, Seif Chirchi, are now at the forefront of Seattle culinary culture with their restaurants Joule, Revel and Trove. But when they first opened Joule in its original, narrow Wallingford storefront in 2007, people didn’t know what to make of it. 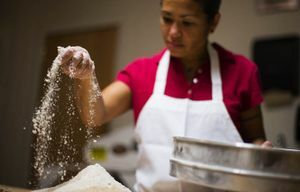 The two of them worked side by side in the small kitchen, and they worked hard — “really hard,” she says — to find their audience. Seattle Times food writer Nancy Leson stopped in shortly after they opened and raved about their “marvelous meld of Asian-influenced contemporary American fare.” But how do you tagline something like that? In the weeks leading up to her Nov. 15 cover story in Pacific NW magazine asking, “What is Northwest cuisine?” food writer Bethany Jean Clement explores the backstory of the people and landscapes that define the way we eat now. When she and Chirchi arrived in 2006, “Seattle was still very, very homogeneous,” Yang says, “in terms of restaurant scene.” When she says that “made it really interesting,” it’s pretty clear that she’s speaking euphemistically. A place like Joule, with dishes like Manila clams with house-made XO sauce and a purée of roasted fennel, was challenging to the status quo. “That put us in a very interesting place in the map — in the culinary map of Seattle,” Yang says. Now the city’s got Seven Beef, Lionhead, Stateside, Girin, Tray Kitchen and Zhu Dang; just nine years ago, there weren’t many such models. And that’s when Yang says they “found our groove. Fun, Korean, different.” Those three words aptly describe Trove, with its DIY tabletop barbecues, its bar with an erupting Rainier mural by Electric Coffin, and its bedazzled ice-cream truck permanently lodged in the entry for “Old School” and “New School” versions of soft-serve sundaes. Back on the topic of Northwest cuisine, Yang observes, “Local food doesn’t always mean that every single restaurant would have same thing on the menu. 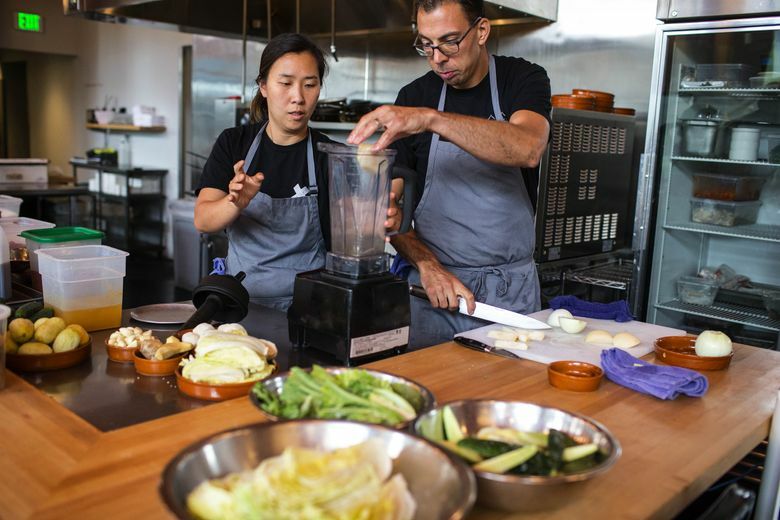 “Right now, there’s a ton more diversity, and a lot more Asian-type of restaurants out here, and I’m sure a lot of people looked at what we were doing and how receptive people were, and how people were excited about different flavors. And I hope that was kind of partially the reason why the restaurant scene is changing, and I think this is really better for everyone. “I hope that I’m kind of adding to that difference here in Seattle,” she says.